Cooking 4 Noobs: PADawan Thai! Hello to all my Padawans! Today I will be training you to conjure a delicious thai meal in a short time! Do you think you are up for the challenge? Soak rice noodles in cold water 30 minutes, or until soft. Drain, and set aside. Heat oil in wok over medium-high heat. Crack eggs into hot oil, and cook until firm. 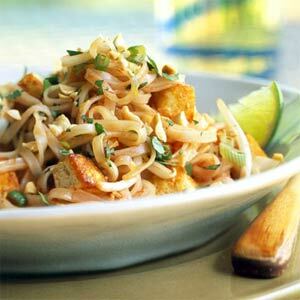 Add softened noodles, and Pad Thai Sauce. Mix while cooking, until noodles are tender. Garnish with crushed Peanuts and a lemon/lime wedge! There you have it young padawan, you are close to becoming a Master Jedi!